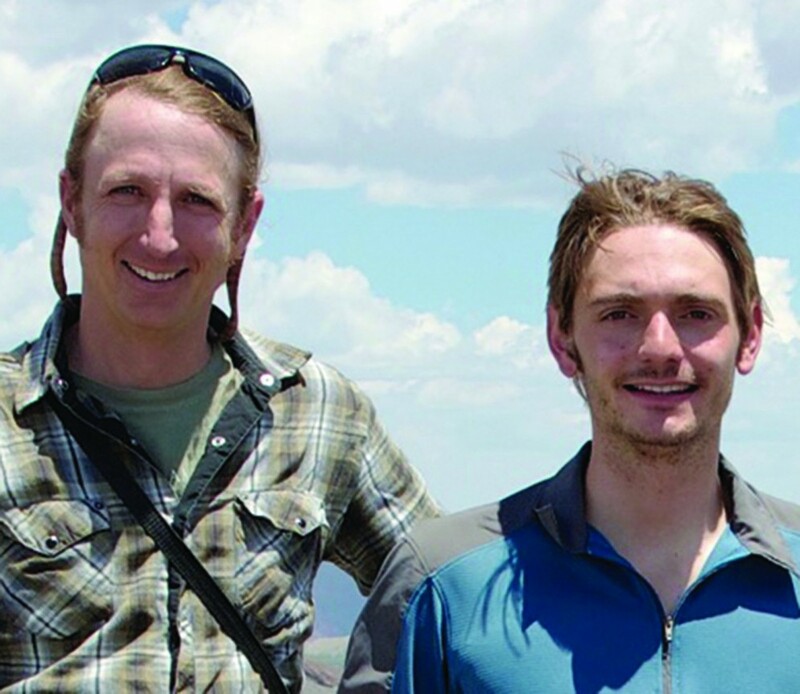 Brian Enquist ’91, left, and Colby Sides ’12 conducted research near Crested Butte, Colo., in the summer of 2011. 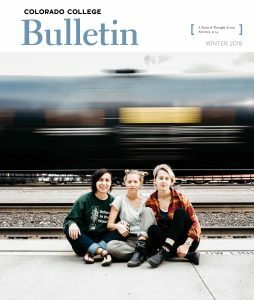 Biologists from three eras at Colorado College collaborated on research in the Colorado mountains that has appeared in one of the premier botanical journals in the world. “Revisiting Darwin’s Hypothesis: Does Greater Intraspecific Variability Increase Species’ Ecological Breadth?” was published in the January issue of the American Journal of Botany. Authors Colby Sides ’12, Brian Enquist ’91, and Colorado College Biology Professor Jim Ebersole found their connections through CC and collaborated on the work, which became Sides’ undergraduate thesis. Having also been Enquist’s advisor in the early ’90s, Ebersole knew that the other two had similar research interests and connected Sides with Enquist, now professor of ecology and evolutionary biology at the University of Arizona. Sides’ work tested a key Charles Darwin prediction: “In the mid-1800s, Darwin hypothesized that those species which show larger variation should be found in broader environments. That had not really been tested or proven,” Ebersole said. Sides spent much of the summer of 2011 collecting and analyzing plant samples from six communities ranging from 9,000 to 12,000 feet in elevation in the area around Crested Butte. He was based at the Rocky Mountain Biological Laboratory in nearby Gothic, where Enquist has been running various experiments for the past 10 years. Sides measured the area, then dried his leaf samples from 20 species including recognizable Rocky Mountain subalpine flowers such as the glacier lily, bluebell, lupine, and shrubby cinquefoil. He then weighed the samples to evaluate the mass of each, allowing him to calculate specific leaf area that correlates to other plant traits. His results show that those species with more variation in specific leaf area occurred at a wider variety of elevations. “The data demonstrate the importance of within-species variation that has been left out of some models,” said Sides, noting that many studies focus on the average measurement of a trait for a species, not its variability. “It’s really incredible how variable a species can be, and if they vary a lot they can spread themselves over a bunch of different environmental conditions. It can determine where a species can exist,” he explained of his research results. 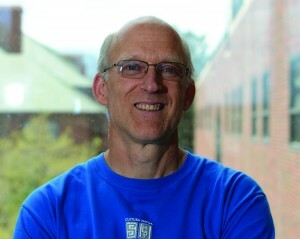 Biology Professor Jim Ebersole mentored both Enquist and Sides. 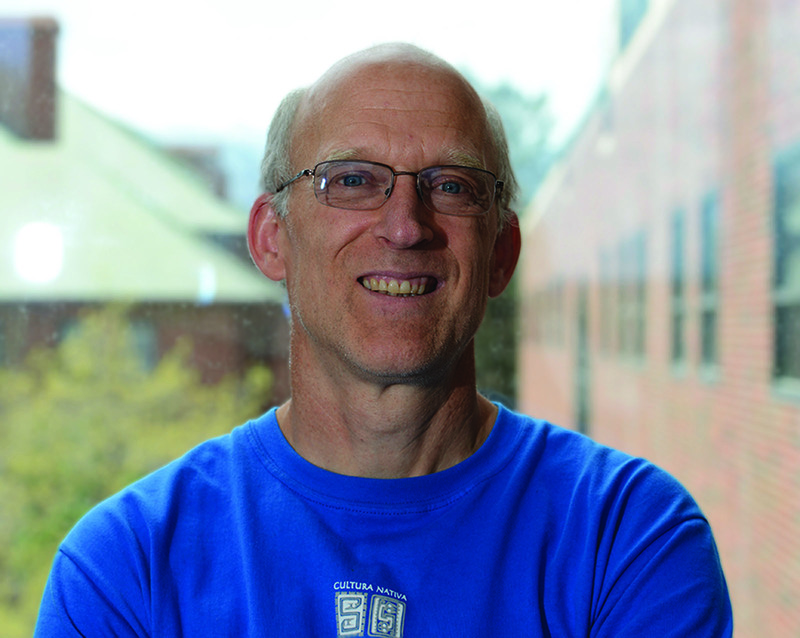 “It is really a nice piece of work,” said Ebersole, who has published 12 scientific papers with 15 CC student authors in his 26 years of teaching at Colorado College. Enquist, who is now a noteworthy scientist with long lists of awards, accomplishments, and prestigious publications, saw his senior thesis, his first publication, succeed under Ebersole’s supervision. “It’s a humbling and reflective moment to appreciate the role of mentors in furthering and fueling our scientific enterprise,” said Enquist, who now, in turn, routinely works with students of all levels both as a professor and as a research mentor. Together, Enquist and Ebersole also have worked with other CC students before Sides. Enquist thinks Colorado College is particularly equipped to “facilitate students participating in primary research.” He said the Block Plan really allows “more focused projects” while CC’s “small size and excellent teachers with one foot in academia while also doing research” encourage the hands-on work. Sides is a great example. Before his research in Gothic, he conducted studies in Costa Rica, then went on to complete a research internship with Enquist. Now, he’s working on two other research papers while considering going back to school for his Ph.D. in biology. To read an abstract of the research, go to www.amjbot.org and search for an author’s name.